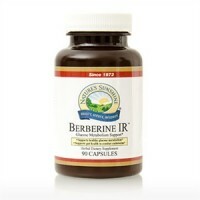 Helps reduce oxidative stress in all cells throughout the body. Supports the health of the heart, kidneys, liver and pancreas. 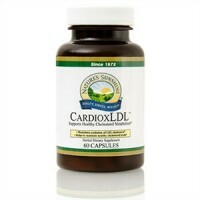 Promotes healthy cardiovascular function and general longevity. Exhibits antioxidant and neuron-protective properties. Supports already-normal-range blood pressure levels. 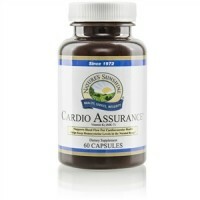 Provides 50 mg non-crystallizing, highly bioavailable co-enzyme Q10 per serving. Co-Q10 is a vitamin-like substance present in every cell in the body. It is vital for cellular energy, cardiovascular health and longevity. Co-Q10 is required for energy production in the mitochondria of the cell where carbohydrates and fatty acids are converted into energy (ATP). This energy-making process fuels most metabolic processes. As an antioxidant, Co-Q10 scavenges free radicals, reducing oxidative stress on cells throughout the body. It protects cardiac cells, prevents lipid oxidation and promotes the regeneration of vitamin E, another antioxidant. Co-Q10 especially contributes to the health of the heart, kidneys, liver and pancreas. It also supports already-normal-range blood pressure levels. Co-Q10 material is often marketed in a crystalline state, which is less-absorbable by the body. Nature's Sunshine uses a patented lipid blend to keep Co-Q10 from crystallizing, and it yields maximum bioavailability. A double-blind human clinical trial showed that this form of Co-Q10 was at least eight times more readily absorbed by the body than competing (crystalline) products. Co-enzyme Q10, conjugated linoleic acid, flaxseed oil and soy monoglycerides. Take 1 softgel with a meal daily for circulatory support.